We regret to inform that due to regularly scheduled ropeway inspections the park will be closed from April 13, 2019 (Saturday) through April 26 (Friday) . We apologize for the inconvenience. Brown bears are the largest species of animals in Hokkaido and were worshiped by Ainu, the native Hokkado people,as the God. There are approximately 2,000 brown bears in Hokkaido and the number is reported to be on the decline. 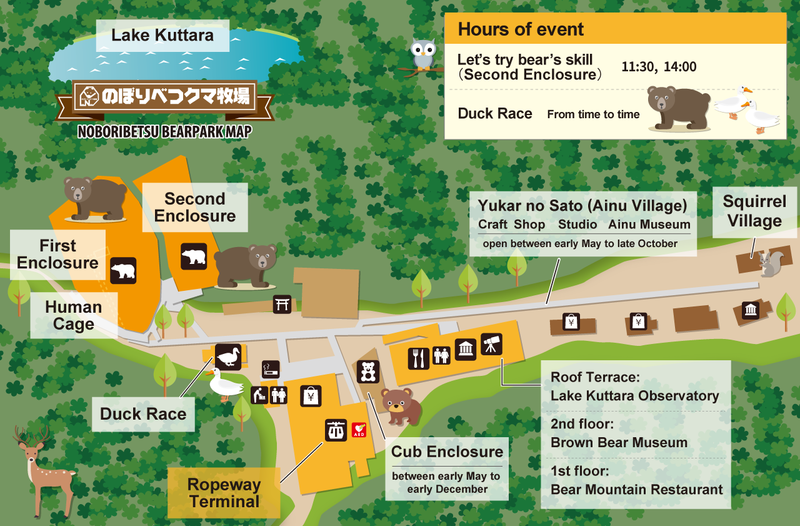 Noboribetsu Bear Park is located atop “Bear Mountain” that site in the deep forest of the Lake Kuttara area. Farming, observing and studying of brown bears started in October 1958 and recorded a major success. The numbers of bears are now over a seventy, from only eight at the beginning,and happily ever after is the way they live now. 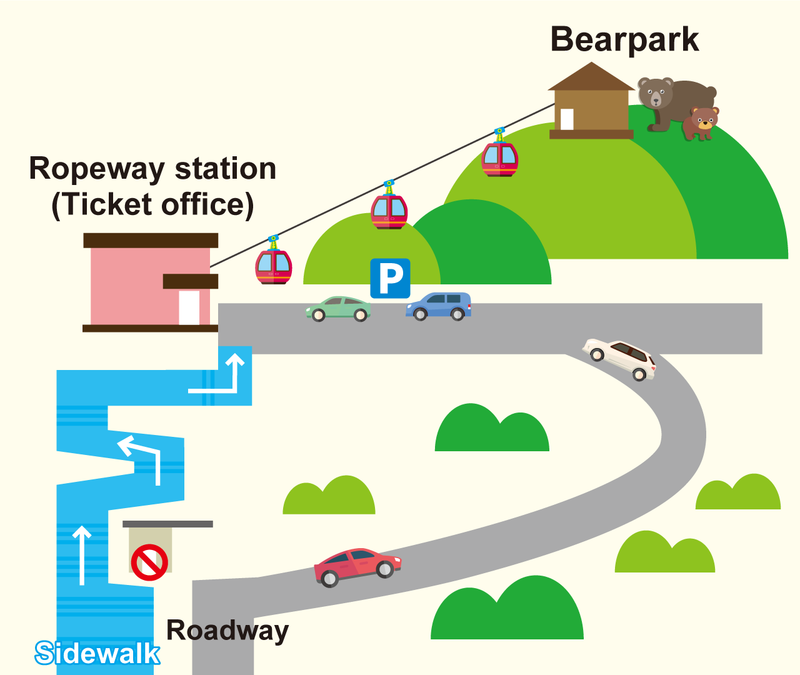 Bear Park (around the area at the top of the mountain) offers free Wi-Fi to park guests. Enjoy coverage in most of the surrounding area including the Kuttara Lake observation deck. We regret to inform that due to regularly scheduled ropeway inspections the park will be closed from April 13, 2019 (Saturday) through April 26 (Friday) and November 6, 2019 (Wednesday) through November 12 (Tuesday). We apologize for the inconvenience. *Child price includes kids 4-years-old to elementary school (~6th grade). Children 3 and under are admitted for free. 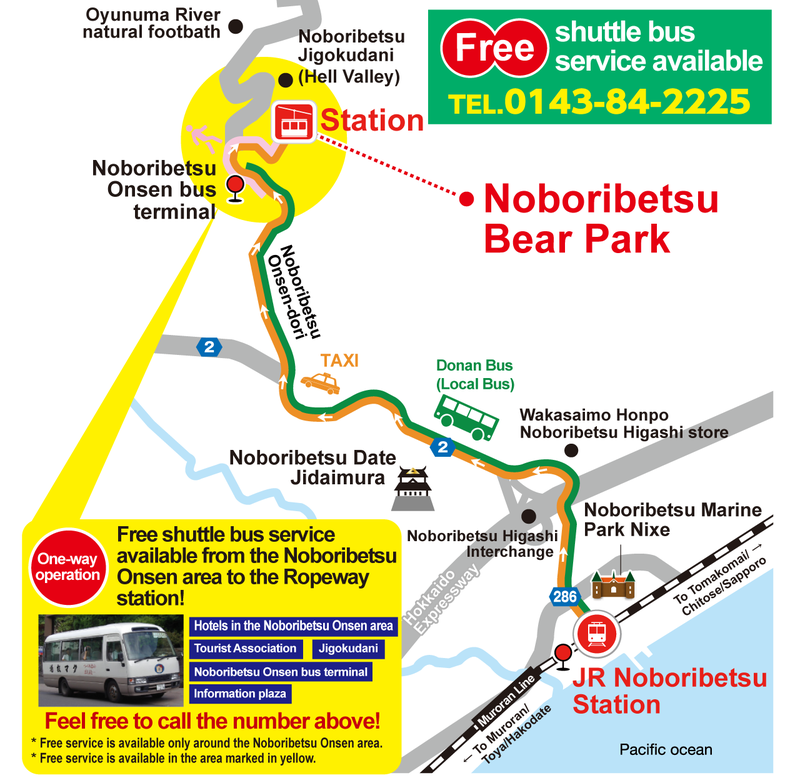 *Price for ropeway ticket includes park entrance fee. *Major credit cards（VISA／Mastercard／JCB／AMERICAN EXPRESS／DC／NICOS／銀聯）,WeChat,and Alipay are accepted. Copyright© のぼりべつクマ牧場 All rights Reserved.